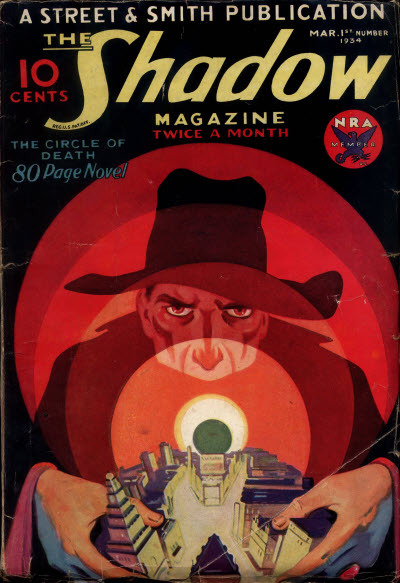 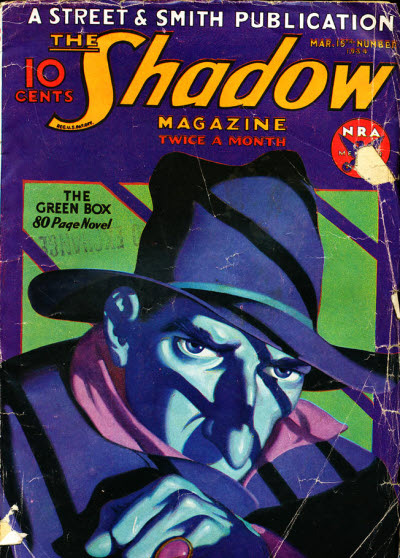 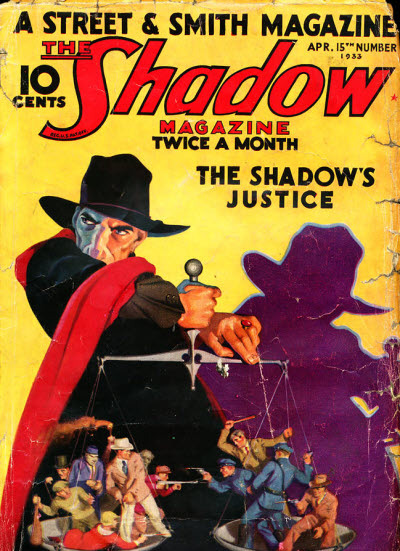 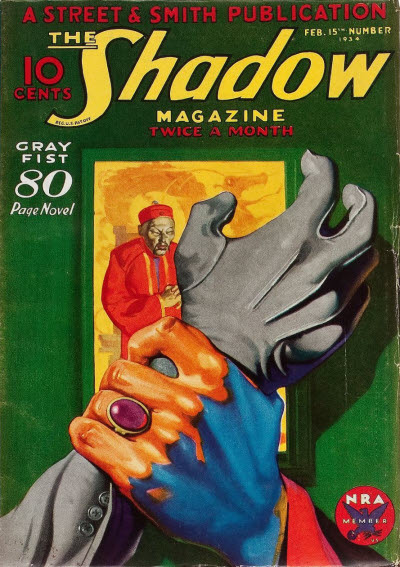 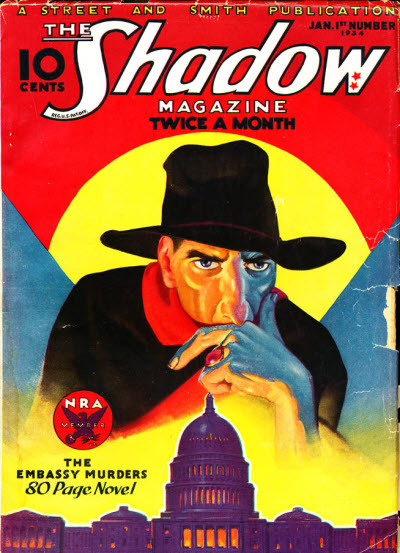 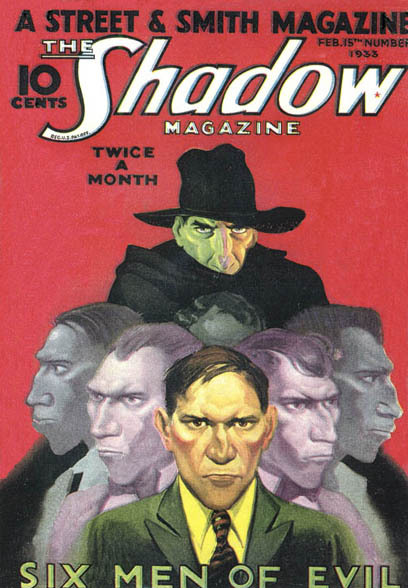 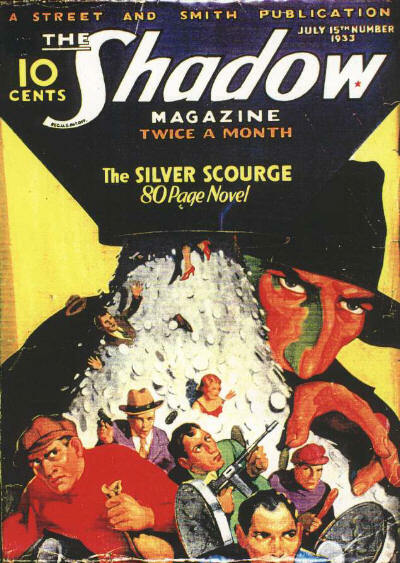 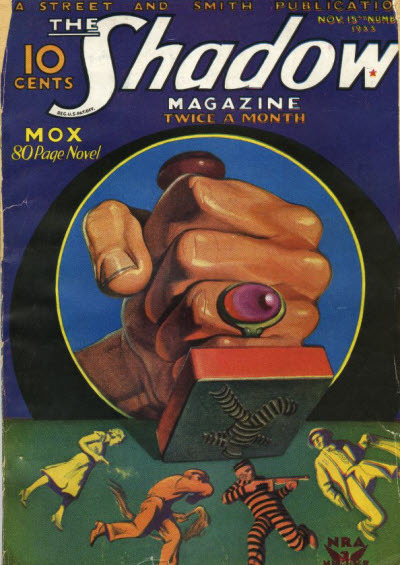 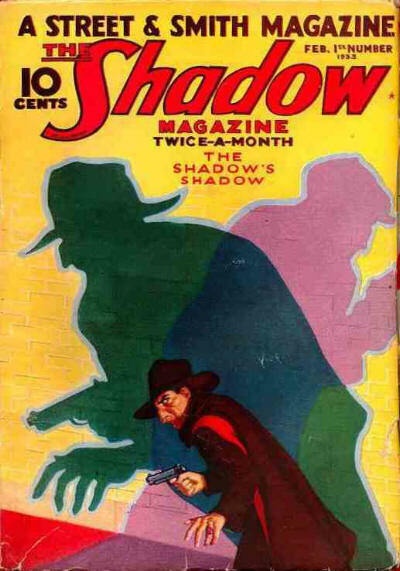 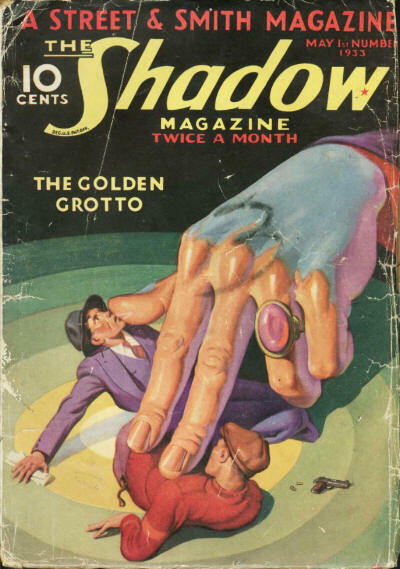 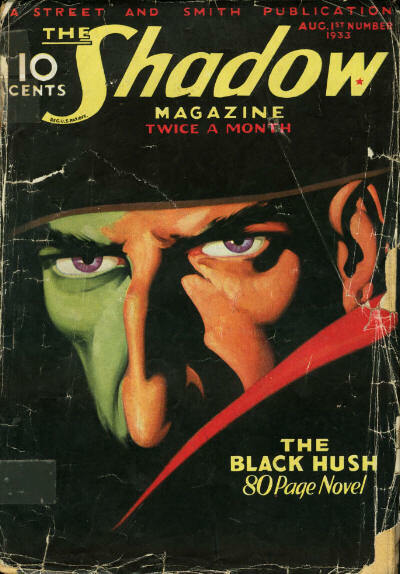 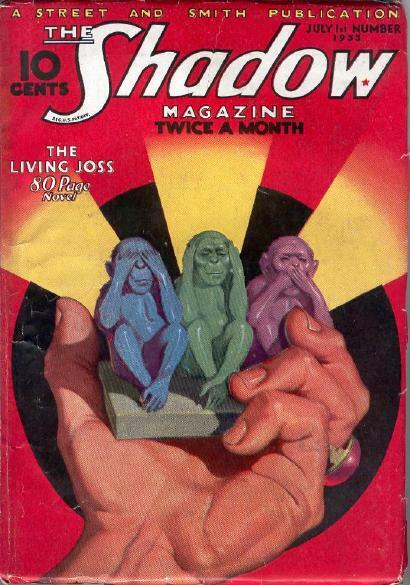 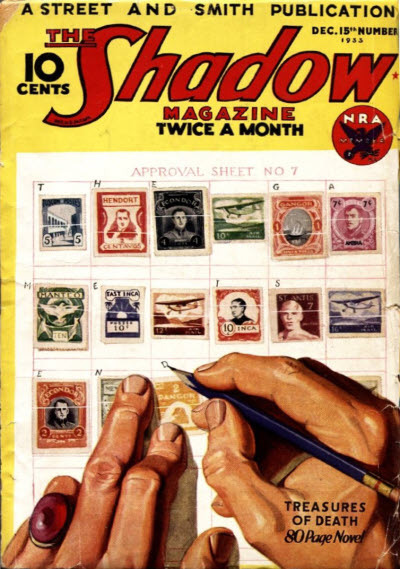 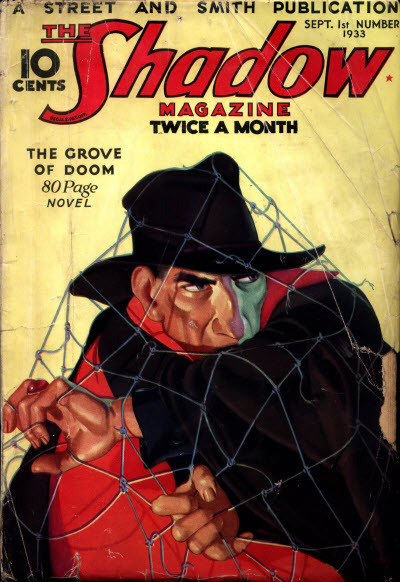 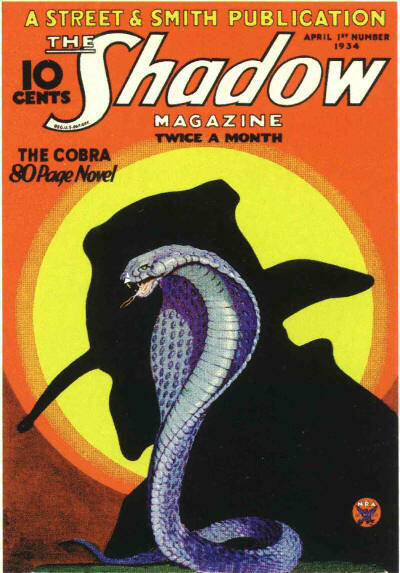 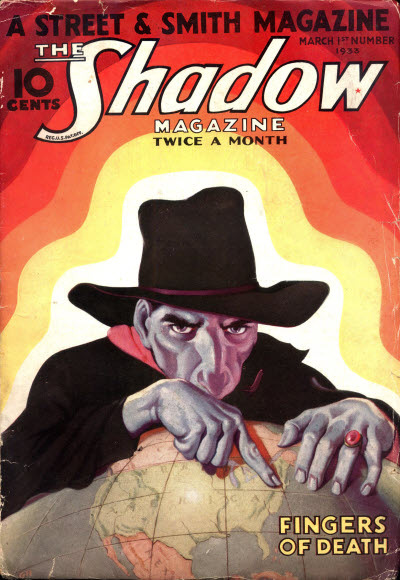 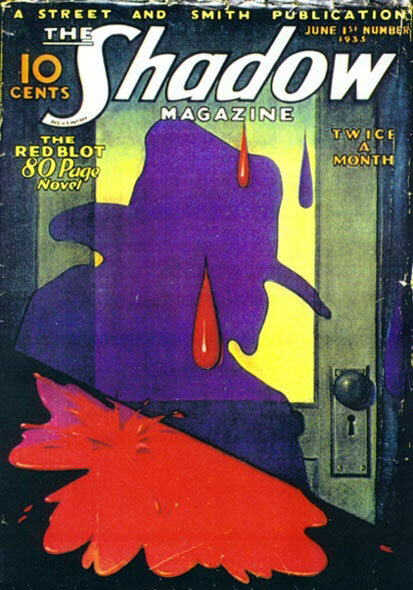 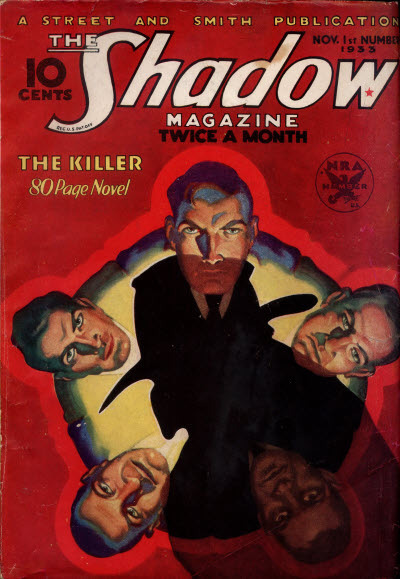 3 · The Shadows Shadow [Kent Allard (The Shadow)] · Maxwell Grant (by Walter B. Gibson) · n.
1 · Six Men of Evil [Kent Allard (The Shadow)] · Maxwell Grant (by Walter B. Gibson) · n.
4 · Fingers of Death [Kent Allard (The Shadow)] · Maxwell Grant (by Walter B. Gibson) · n.
113 · Funny Business [Mark Curtis] · Norvell Page · ss; given as by Norvel Page. 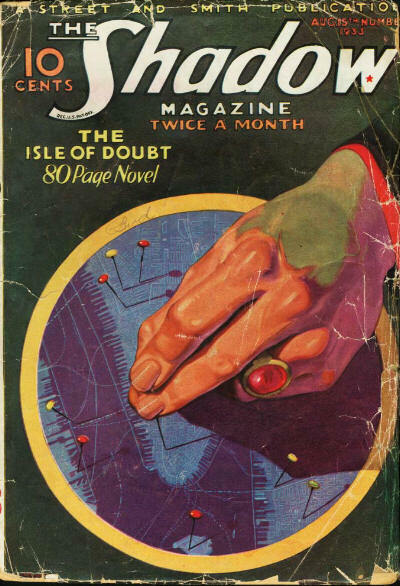 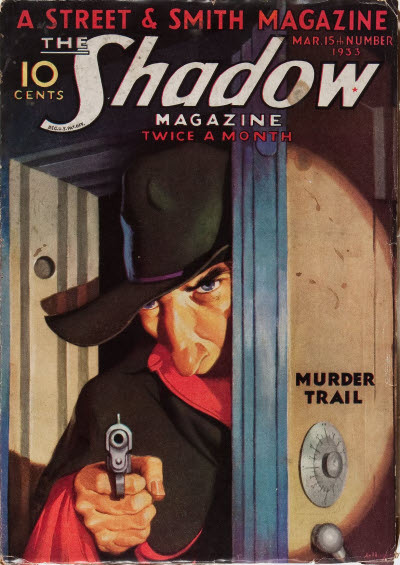 2 · Murder Trail [Kent Allard (The Shadow)] · Maxwell Grant (by Walter B. Gibson) · n.
108 · The Killer · G. R. Schalk · ss; given as by C.R. 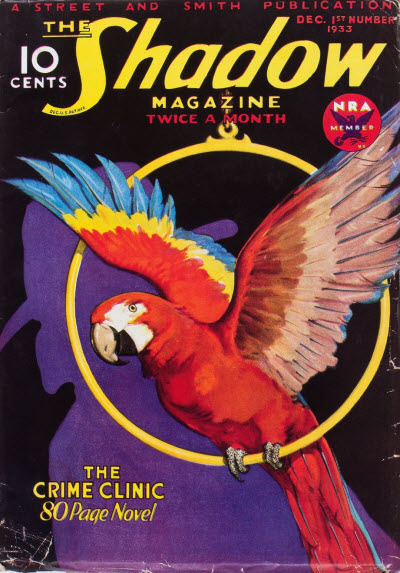 Schalk. 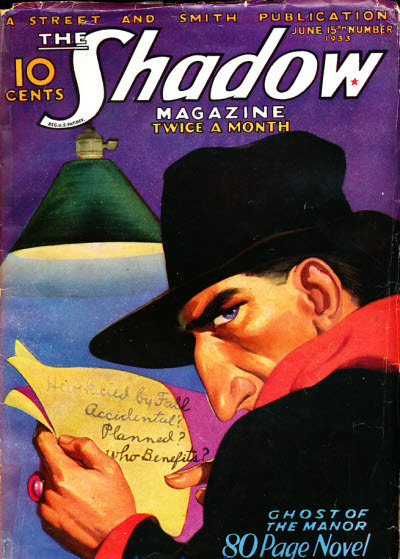 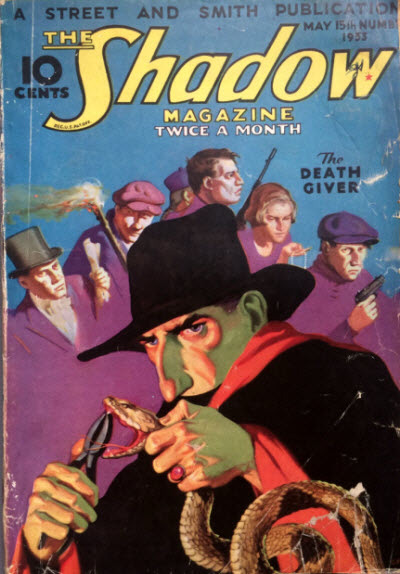 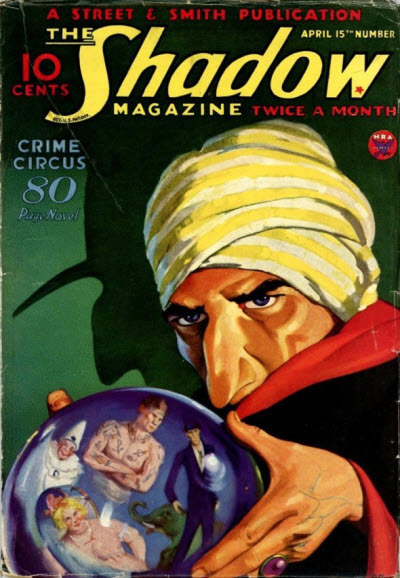 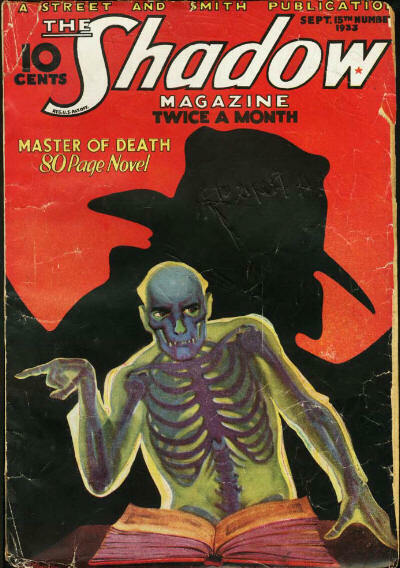 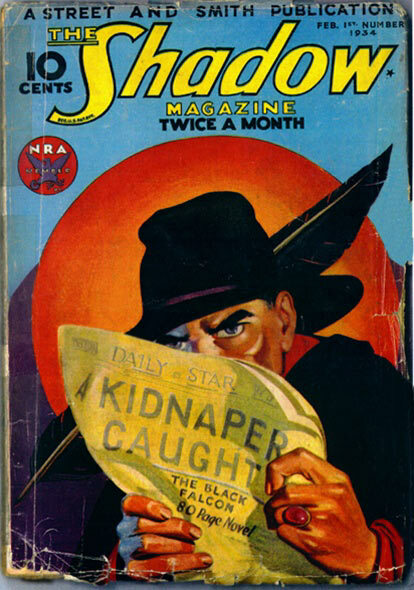 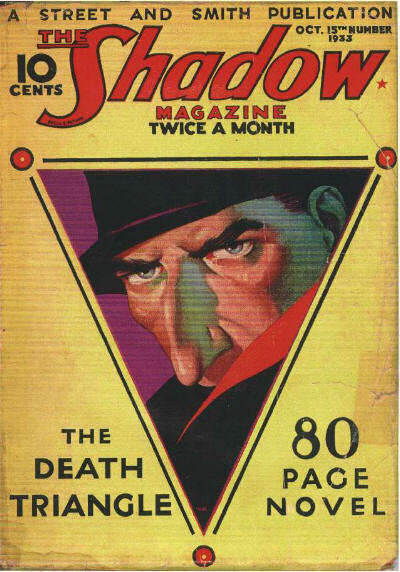 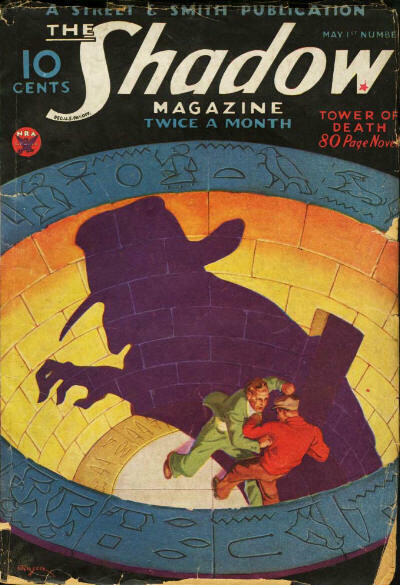 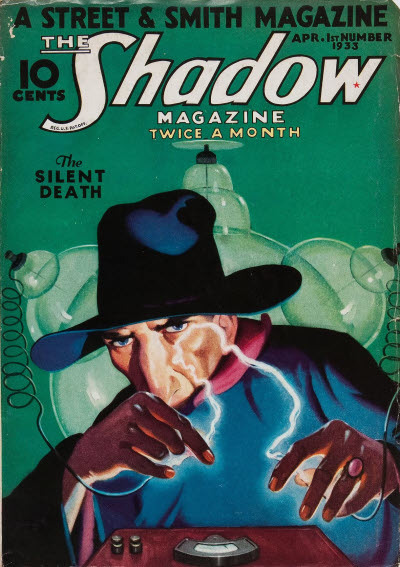 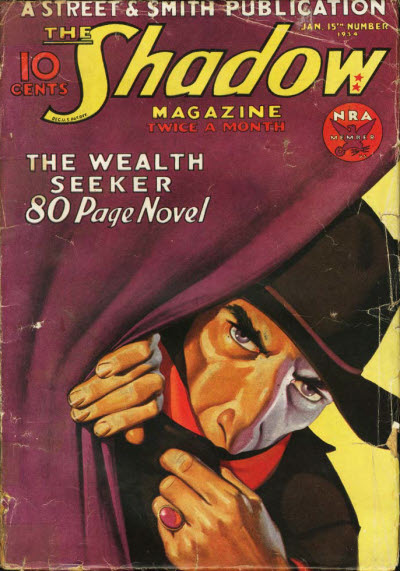 4 · The Silent Death [Kent Allard (The Shadow)] · Maxwell Grant (by Walter B. Gibson) · n.
1 · The Shadows Justice [Kent Allard (The Shadow)] · Maxwell Grant (by Walter B. Gibson) · n.
4 · The Golden Grotto [Kent Allard (The Shadow)] · Maxwell Grant (by Walter B. Gibson) · n.
1 · The Death Giver [Kent Allard (The Shadow)] · Maxwell Grant (by Walter B. Gibson) · n.
4 · The Red Blot [Kent Allard (The Shadow)] · Maxwell Grant (by Walter B. Gibson) · n.
5 · The Ghost of the Manor [Kent Allard (The Shadow)] · Maxwell Grant (by Walter B. Gibson) · n.
3 · The Living Joss [Kent Allard (The Shadow)] · Maxwell Grant (by Walter B. Gibson) · n.
5 · The Silver Scourge [Kent Allard (The Shadow)] · Maxwell Grant (by Walter B. Gibson) · n.
3 · The Black Hush [Kent Allard (The Shadow)] · Maxwell Grant (by Walter B. Gibson) · n.
6 · The Isle of Doubt [Kent Allard (The Shadow)] · Maxwell Grant (by Walter B. Gibson) · n.
4 · The Grove of Doom [Kent Allard (The Shadow)] · Maxwell Grant (by Walter B. Gibson) · n.
5 · Master of Death [Kent Allard (The Shadow)] · Maxwell Grant (by Walter B. Gibson) · n.; not the same as the story with a very similar title in the May 15, 1940 issue. 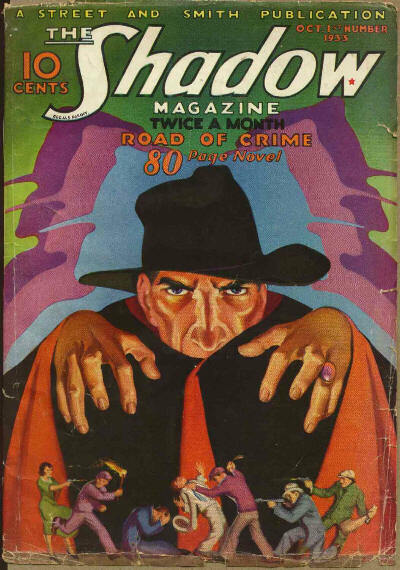 4 · Road of Crime [Kent Allard (The Shadow)] · Maxwell Grant (by Walter B. Gibson) · n.
9 · The Death Triangle [Kent Allard (The Shadow)] · Maxwell Grant (by Walter B. Gibson) · n.
4 · The Killer [Kent Allard (The Shadow)] · Maxwell Grant (by Walter B. Gibson) · n.
10 · Mox [Kent Allard (The Shadow)] · Maxwell Grant (by Walter B. Gibson) · n.
5 · The Crime Clinic [Kent Allard (The Shadow)] · Maxwell Grant (by Walter B. Gibson) · n.
9 · Treasures of Death [Kent Allard (The Shadow)] · Maxwell Grant (by Walter B. Gibson) · n.
5 · The Embassy Murders [Kent Allard (The Shadow)] · Maxwell Grant (by Walter B. Gibson) · n.
9 · The Wealth Seeker [Kent Allard (The Shadow)] · Maxwell Grant (by Walter B. Gibson) · n.
5 · The Black Falcon [Kent Allard (The Shadow)] · Maxwell Grant (by Walter B. Gibson) · n.
9 · Gray Fist [Kent Allard (The Shadow)] · Maxwell Grant (by Walter B. Gibson) · n.
4 · The Circle of Death [Kent Allard (The Shadow)] · Maxwell Grant (by Walter B. Gibson) · n.
9 · The Green Box [Kent Allard (The Shadow)] · Maxwell Grant (by Walter B. Gibson) · n.
5 · The Cobra [Kent Allard (The Shadow)] · Maxwell Grant (by Walter B. Gibson) · n.
9 · Crime Circus [Kent Allard (The Shadow)] · Maxwell Grant (by Walter B. Gibson) · n.
5 · Tower of Death [Kent Allard (The Shadow)] · Maxwell Grant (by Walter B. Gibson) · n.